GHC15 Welcome to Houston, GHC15! Now that we’ve settled in on the first few days of October, there’s no denying it: you’re coming to the Grace Hopper Conference this year! Before you get your code in a bunch about logistics (e.g. getting ahead on a week’s worth of work, confirming your travel plans, setting up the vacation reply on your email account, getting a baby-sitter at GHC), consider this first: this will be the mother of all GHC conferences. 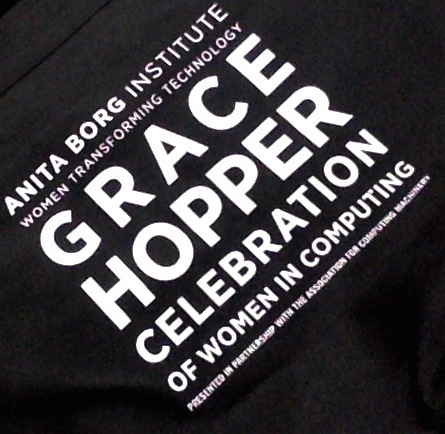 First, at 12,000 attendees, this will be the largest GHC conference in the history of GHC. This year’s numbers are almost double the size of the 2014 conference. Yes, everything is bigger in Texas, including our conferences. Second, the conference is being held in one of the top cities in Texas let alone the nation. This year, Forbes recognized Houston, which is already the 4th most populous city, with the top prize as the fastest-growing American city. Naysayers, be smote! True to advertising, Houston is truly a great American city for enterprise and becoming a growing technology hub for energytech and medtech start-ups. It’s an ethnic melting pot that rivals the likes of New York and Los Angeles. I really could wax on about Houston. Third, with Sheryl Sandberg of Facebook, Susan Wojcicki of YouTube, Megan Smith of the White House Office of Science and Technology and Deborah Plunkett of the National Security Agency, what’s not to love about this year’s powerful women in technology? Fourth, the energy of this year’s conference is already high and we haven’t even gotten started. With the #OurTimetoLead trending and positive trends in top female tech hiring, we have a lot of fodder for discussion and action items. So as we launch our two-week countdown to the conference (one week if you’re attending BwiC day-long conferences in Houston), I’d like to be the first to welcome you to GHC 2015 and the great city of Houston! I hope you enjoy your stay and make the most of this GHC 2015. After all, it’s only #OurTimetoLead.